Using the internet in China could be very frustrating. Many websites are blocked by the so-called Great Firewall. People in China have been using VPNs (Virtual Private Networks) to bypass the censorship and blocking. However, most VPNs are blocked in China as well. It’s hard to find a VPN that works in China these days. Therefore, not only you need a VPN, but you also need to know which VPNs still work in China. This article is a result of extensive VPN testings performed in Mainland China in search for the best VPN for china. Based on our tests, we will recommend some best and reliable VPN services that are currently working well in China. VPNDada (“VPN大大”) is a VPN review and testing service to help internet users in China bypass online sponsorship and blocking. We test, monitor and recommend VPN services to be used in China. Our team is based in Mainland China and our VPN recommendations are based on real VPN testings done in China (On the contrary, some other “best VPN for China” articles could be written by someone who has never visited China or used a VPN here). We have been mentioned by newspaper and media including The New York Times, South China Morning Post and Business Insider etc. You Need a VPN to Visit Blocked Websites in China. As known to most internet users in China, the so called Great Firewall of China blocks many foreign websites/apps/services in China and the situation is not getting better (actually it’s getting worse!). To unblock those contents, VPN has become a popular tool among China Internet users. But Most VPNs Do Not Work in China at All. The Great Firewall of China not only blocks websites, but it blocks VPN services as well. As a result, many well-known VPN services do not work in China at all. This includes many VPN services that are very popular in other countries such as the United States. Also, it’s quite common that a VPN service works well for some time and then one day it becomes blocked or unstable. For this reason, It’s hard to find a VPN that works in China. Many China VPN users have to try different VPNs from time to time, which could be quite painful. That’s Why You Need a VPN Testing Service to Find out Which VPNs Work Well in China. We are based in China and we do real China VPN testings. In search for the best VPN for china, we have signed up accounts from many VPN providers and we test each of them thoroughly. 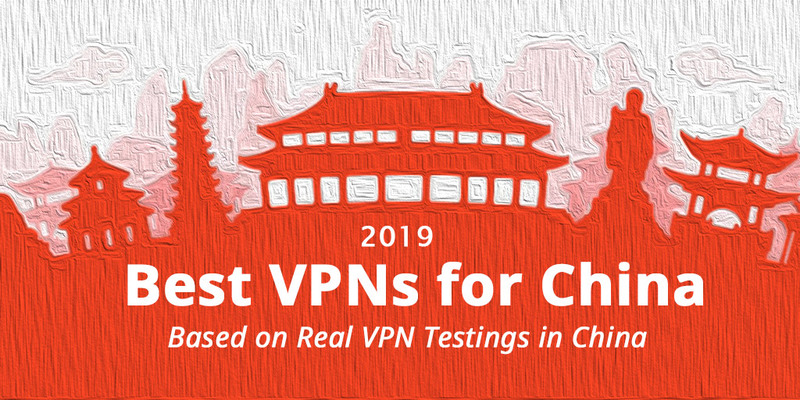 Based on our testing results, we report which VPNs work in China and recommend the best VPNs for China to our users. In addition, we repeat our China VPN testing on a regular basis in order to keep our readers up to date on the best VPNs China Internet users can use. Many world-wide server locations to choose from. Offers “Connection Per App” feature that allows bypassing VPN for certain apps. With 30-day money-back guarantee, you can try it free for a longer time. ExpressVPN’s price is at the high end. Reliable connection, fast speed. Very good customer support. High survival rate during China’s VPN blocking. Does ExpressVPN work in China? : Yes. Is ExpressVPN completely blocked in China? : No. Does ExpressVPN has any data bandwidth limit or speed limit? : No. Supported Platforms: Free VPN software and app for desktop computers (Windows, Mac, Linux, Chromebook), tablets (iPad, Android tablets), mobile phones (iPhone, Android phones), Router, Apple TV, Android TV, Xbox, PlayStation, Xbox, Fire TV & Kindle Fire. Can also be used as a Google Chrome extension. Manual configuration is also possible. Server Locations: 160 locations, 94 countries. Simultaneous Connections Allowed: Up to 3 devices with 1 subscription. VPN Speed: Very fast when using from China (while connected to the best server locations). No problem streaming YouTube Videos (if your ISP offer a decent speed). Customer Support: 24/7 Live chat available. Email support and support ticket system also available. Free Trial: 30-day money-back guarantee. Payment Methods: credit cards, PayPal, AliPay, UnionPay, WebMoney, Bitcoin and more. Special Discount: Click this link to get 3 Months Free from ExpressVPN when you purchase its 12-month package. As one of the most famous and respected VPN brands, ExpressVPN not only provides reliable and fast VPN services, but also puts a lot of effort on getting its VPN work well in China. ExpressVPN has survived many major China VPN crackdowns and offers 24/7 customer support. ExpressVPN works well as desktop software as well as mobile apps (Android, iPhone etc.) in China. Its VPN servers in Hong Kong, Tokyo and Los Angeles are the best choice for China VPN users. If your ExpressVPN stops working in China, contact ExpressVPN’s live support immediately to get the latest tips and solutions for getting the VPNing work again in China. Mac and Android apps support connection per app. Advanced features targeting China users are only available in the more expensive Premium plan, not in the basic plan. Reliable connection, fast speed. Offers Chameleon technology to defeat China’s VPN blocking. Does VyprVPN work in China: Yes. Is VyprVPN completely blocked in China? : No. Does VyprVPN has any data bandwidth limit or speed limit? : No. Supported Platforms: Free VPN software and app for desktop computers (Windows, Mac), tablets (iPad, Android tablets), mobile phones (iPhone, Android phones), Router, Apple TV, Android TV, OpenELEC/Kodi etc. Manual configuration is also possible. Server Locations: 700+ locations, 60+ countries. Simultaneous Connections Allowed: 3 to 5 devices with 1 subscription (depending on plan). Payment Methods: Credit Cards, PayPal and AliPay. 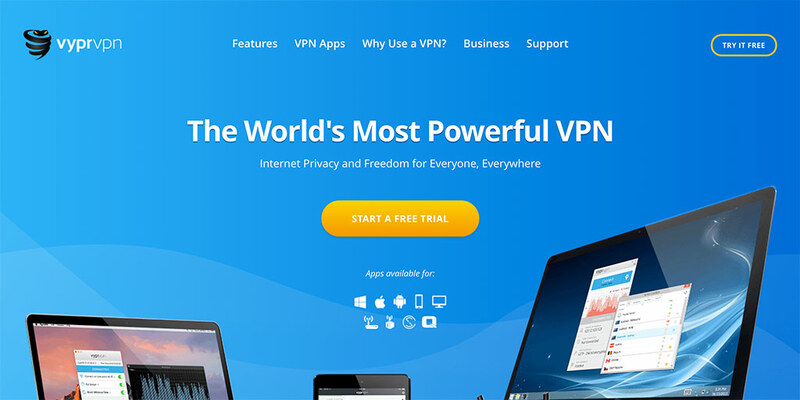 Special Discount: Click this discount link to get discount prices for VyprVPN. VyprVPN is a well-known VPN service that is very strong in technology. Its VPN services is fast, reliable and work well in China. 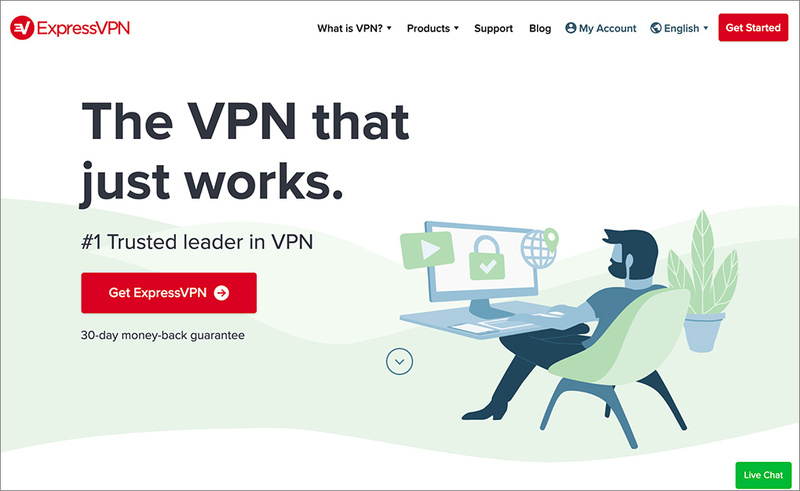 To bypass China’s VPN blocking, VyprVPN offers a special VPN protocol called Chameleon VPN that specifically designed to avoid VPN blocking by the Great Firewall. VyprVPN provides 24/7 customer support and also has a Chinese version website. China VPN users should choose VyprVPN’s Premium plan because it includes Chameleon. When using VyprVPN in China, users should use the Chameleon protocol to avoid VPN blocking and the best VPN servers to use are the ones located in Japan. Its U.S. West Coast servers also work pretty well. Choose the Premium packages when buying VyprVPN because only the premium packages come with the Chameleon protocol support, which is a must-have for using VyprVPN in China. When connecting to VyprVPN from China, always use the Chameleon protocol to avoid VPN blocking. If your VyprVPN stops working in China, contact VyprVPN’s live support immediately to get the latest tips and solutions for getting the VPN working again in China. Stable connections and good speed. Occasionally getting blocked in China. Need to contact customer support to get special methods to get connected if this happens. Reliable connection, fast speed, offers China optimized connection methods and servers. Does PureVPN work in China: Yes. Is PureVPN completely blocked in China? : No. Does PureVPN has any data bandwidth limit or speed limit? : No. Supported Platforms: Free VPN software and app for desktop computers (Windows, Mac, Linux, Chromebook), tablets (iPad, Android tablets), mobile phones (iPhone, Android phones), Router, Apple TV, Android TV, Amazon FireTV, Kodi etc. Manual configuration is also possible. Server Locations: 180+ locations, 140+ countries. Simultaneous Connections Allowed: 5 devices with 1 subscription. Free Trial: 31-day money-back guarantee. Payment Methods: Credit Cards, PayPal and AliPay, Bitcoin and other Crypto currencies, WebMoney etc . Special Discount: Click this discount link to get discount prices for PureVPN. 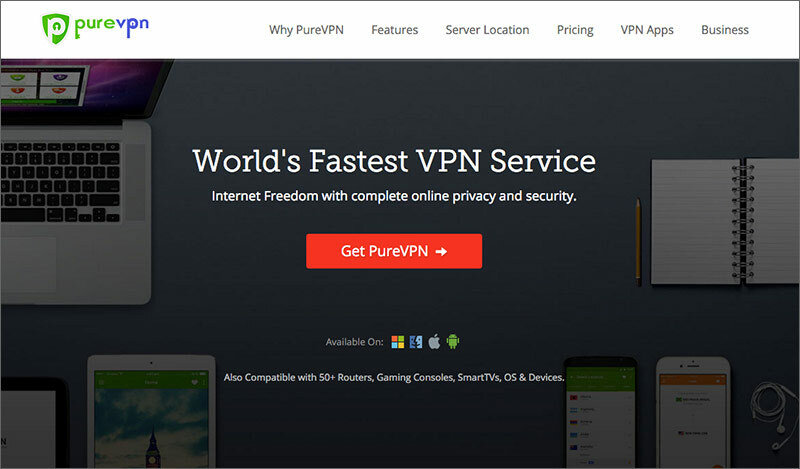 PureVPN is a famous VPN provider. For China VPN users, it has two advantages: 1) Its price is lower than many other VPN providers but it offers rich VPN features. 2) PureVPN also has VPN servers in China and can be used for VPN users outside of China to get a China IP in order to access China-only contents. When using PureVPN in China, you can choose its “Optimized for China” mode to access VPN servers optimized for China VPN users. Please note: In case of heavy VPN blocking, if you have problem connecting to PureVPN using its software or app, you should contact PureVPN’s customer support (they have a live chat box on their website) and the the customer support might provide some alternative ways for you to get connected. Use the “Optimized for China” mode and choose servers that are optimized for China. If your PureVPN stops working in China, contact PureVPN’s live support immediately to get the latest tips and solutions for getting the VPN working again in China. Reasons for Recommending: Reliable connection, fast speed. Desktop VPN software includes obfuscation option to defeat China’s VPN blocking. Does NordVPN work in China: Yes. Is NordVPN completely blocked in China? : No. Does NordVPN has any data bandwidth limit or speed limit? : No. Supported Platforms: Free VPN software and app for desktop computers (Windows, Mac, Linux), tablets (iPad, Android tablets), mobile phones (iPhone, Android phones), Router etc. Manual configuration is also possible. Server Locations: 5000+ servers, 60+ countries. Payment Methods: Credit Cards, AliPay, UnionPay, Bitcoin and other Crypto Currencies. Special Discount: Click this discount link to get discount prices for NordVPN. 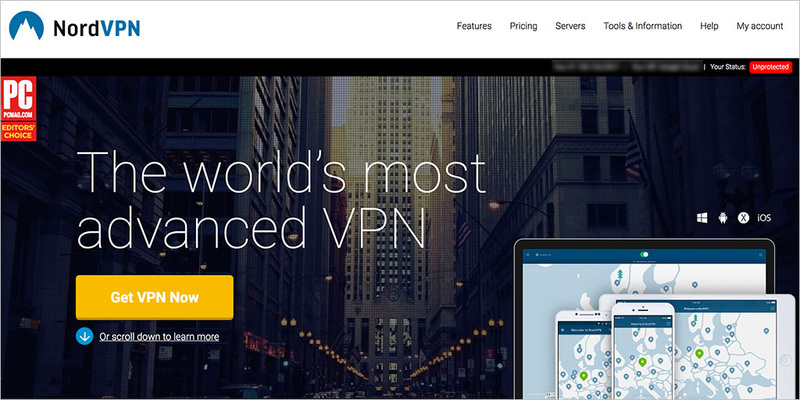 NordVPN is a well-known VPN provider with world-wide customers and very good reviews. Recently NordVPN started paying more attention to the China VPN market. Its desktop VPN software offers a obfuscation method to bypass China’s VPN blocking. Enable the Obfuscated Servers feature in the NordVPN app settings. Check on NordVPN’s support page for a list of best servers that work well in China. If your NordVPN stops working in China, contact NordVPN’s live support immediately to get the latest tips and solutions for getting the VPN working again in China. The Great Firewall of China is known for blocking VPN services. Some VPN providers listed above are currently blocked in China. Please note that although many VPN providers’ websites are inaccessible from China, their software/proxies might still work in China. In other words, users might be able to get access to their website from outside of China or by using another VPN China users can use to register and download their VPN client or install their proxy, which might still work in China. VPNs (Virtual Private Networks) allow users to securely access a private network. People use VPN for different reasons: online security, online privacy or to bypass Internet content blocking. Why People Use VPN in China? The main reason for using VPN in China is to bypass Internet blocking. Many international websites or services, such as Google, Google Docs, Twitter, Facebook, YouTube, Instagram, Pinterest, Google Play Store, Netflix, Google Maps etc. are blocked in China. VPN can be used to bypass blocking and access those websites or services in China. Which Websites Are Blocked in China? China’s Great Firewall has blocked many websites in China. We won’t be able to list all of them. But here are some of the most popular websites/services that are currently blocked in China (some of them are partially blocked): Gmail, Google search, Google Maps, Google Docs, Google APIs, Whatsapp, Reddit, Picasa, Facebook, YouTube, Wikipedia, Twitter, Yahoo!, Blogspot, Instagram, Github, Pinterest, Pornhub, The Pirate Bay, Dailymotion, The New York Times, Dropbox, Vimeo, SoundCloud, Flickr, BBC, WhatsApp etc. When you use the Internet in China, the traffic is subject to the censorship by the so-called Great Firewall of China (GFW). You can bypass the Great Firewall of China in a few ways, for example, using a proxy, using a VPN etc. With a Working China VPN, Can I Access Facebook, YouTube, Twitter and Google Etc. In China? How to Get a VPN China Internet Users Can Use? If you are planning your trip to China, you can sign up a VPN before you leave your country. If you are already in China, VPN services can also be signed up in this country. However, in either case, please be aware that not all VPN services work in China. Many well-known VPN providers are blocked or disrupted in China. To select a VPN that works well in China, please see our list of the best VPNs for China. For some international VPN providers, you might need to have a credit card to make payments. VPN providers usually offer different payment plans to choose from, such as month-to-month, annual plans etc. Some VPN providers even offer free trial period to test out their services. How to Use a VPN in China? After signing up for a VPN service, you will receive instruction on downloading VPN software or manual setting up VPN on your PC (Windows or Mac), laptop or mobile devices. Most VPN services work on different operation systems, such as Windows, Mac, iOS and Android etc. VPN can be turned on or off as you wish. Are Paid VPNs Better than Free VPNs in China? The answer is generally yes. If you only need to use VPN occasionally, then a free VPN might be able to do the job. However, if you need to use VPN on a daily basis, free VPNs won’t be enough, because free VPNs usually have restrictions on bandwidth usage and their speed is usually slower. In addition, you might run into security risks by using a free VPN. Therefore, we only test and recommend reputable paid VPN services. Actually many paid VPNs offer free VPN trials for user to test out their VPN services before making a long-term commitment. Is Using VPN in China Illegal? Currently it’s hard to say whether using a VPN in China is legal or not. There’s currently no clear law or regulation against using VPNs in China. Not only a large number of China Internet users use VPN on a daily basis, many international companies in China depend on VPN to do their businesses. In 2017 the Chinese government tightened the regulations on VPNs by making it illegal for China based Internet service providers to provide VPN services without the government’s permission (this doesn’t affect overseas VPN providers). There had been no case of people getting into legal problem for using a VPN, until January 2019, when a man in Guangdong was fined 1000 Yuan for using a VPN. However, since there are so many VPN users in China right now, we believe as long as you stay away from political activities and don’t start your own VPN service in China, using a VPN in China should be fine. At the same time, we suggest that you should keep your VPN usage as private as possible. Then VPN Can Be Used in China Without Any Problem, Right? No. Even thought using VPNs in China is not a big crime, VPN services constantly get blocked or disrupted in China. Many local VPN providers were forced to close their services. International VPN providers often find their websites blocked in China and have to set up alternative domain names. For this reason, using VPN in China is not as easy as using VPN in many other countries. That’s why we created this website to monitor and test VPN services in China. Base on our China VPN tests, we report which China VPNs work well and recommend the best VPNs for China. How Do You Test VPNs in China? We have a team based in China and we test VPNs from China. We have signed up VPN accounts with many VPN providers and we test their VPN connections using personal computers, mobile phones and tablets. With helpful tools, we can test and monitor a VPN’s speed and stability. We repeat our China VPN tests on a regular basis to help China VPN users stay up to date on VPN changes and VPN discounts. What’s Your Criteria for Selecting a Good VPN China Internet User Can Trust? Below are some criteria when we recommend a good VPN China Internet users can use: 1) The provider must be a reliable company based outside of China (so that it’s unlikely to be closed by the local government). 2) Preferably, its website should be accessible from China without using VPN (so that users can access their account and contact customer support). 3) It should have a strong experience serving China users (Many big VPN providers don’t know too much about China while many others have technology or services designed specifically for China users). 4) When used from China, VPN connections should be stable and VPN speed should be fast. 5) During China’s periodical VPN blocking, the provider should response quickly and get their disrupted service back to normal within a short period of time. Why Do You Only Test and Review VPNs Provided by a Providers Based Outside of China? In the beginning of 2017, the Chinese government announced a new regulation that essentially forbids local Chinese companies from providing VPN services without the government’s permission. Therefore, it’s quite likely that all China based VPN services will shut down sooner or later. (Update: GreenVPN was forced to terminate their VPN service recently). That’s why we don’t recommend using a VPN services provided locally from China. However, this new regulation won’t affect overseas VPN service providers and you can still use an overseas VPN provider. In addition, by using a VPN service based in China, you are risking your privacy because it’s quite possible that the local VPN service may turn over your personal information (including your VPN usage) to the government if being forced to. On the other hand, using a overseas VPN service will be much better in this consideration. 1. Avoid VPNs that are blocked in China. There are many very popular VPN services (some with very good reviews and strong recommendations) that are completely blocked in China and do not work in China at all. You should avoid these VPNs and choose those that work well in China. Our website, VPNDada.com, can help you learn which VPNs work well in China and which ones don’t. 2. Avoid VPN providers based in China. In early 2017, The Chinese government announced new regulations that essentially make it illegal for local Chinese companies to provide VPN services without the government’s permission. Therefore, China-based VPN providers might have to shut down their existing VPN services. It’s always a good idea to use VPN providers based outside of China because those companies can not be shut down or forced to leak users’ personal data by the Chinese government. All VPNs reviews and recommended on our site are based outside of China. 3. Take advantage of VPN free trials and money-back guarantees. Most VPN companies offer some free trials or money-back guarantees. You should take advantage of these offers to test out whether this VPN works well in your location before making a long-term commitment. When testing a VPN, you should test it on both your computers and mobile devices. 4. Choose the best VPN servers for China. Most VPN services offer a number of VPN server locations for their users to choose from. When using a VPN in China, in order to get the best speed, you should choose those VPN servers that are close to China. For example, Japan and Hong Kong are both good choices. If you need to connect to a VPN server in the U.S., choose one from the west coast such as Los Angeles and San Francisco because they are closer to China. 5. Choose the best VPN protocols for China. The Great Firewall of China has sophisticated technology to detect and block VPN traffic in China. Some VPN protocols are easier to get detected while others are more difficult. Generally speaking, OpenVPN works better than PPTP. If your VPN provider offers special protocols (such as StealthVPN) designed specifically to bypass VPN blocking, you should always choose them. 6. Setting up your own VPN server might not be a good solution in China. Some people with technical skills might choose to install their own VPN servers such as an OpenVPN server on a VPS located outside of China and then hope to use it in China. They often find their own VPN server works well for some time and then suddenly stops working because it has been detected by the Great Firewall and then blocked. If you really want to set up your own VPN server, use Shadowsocks instead of OpenVPN because Shadowsocks are less likely to be blocked in China. 7. It might be necessary to have a backup VPN. Since the Great Firewall is constantly updating itself, any existing working VPNs in China might be interrupted or blocked in the future. If using VPN is very important to you, you might want to prepare for the worst and have a backup solution. Many people have signed up for more than one VPN services. In case one fails, they can use the other one instead. Yes, you need a VPN to visit many websites that are blocked in China. But most VPNs are blocked in China and it’s hard to find a VPN that works in China these days. To find the best VPN for china, we have tested a large number of VPNs in China.